This proportion was slightly down on its 91% autumn retention rate last year. 53 offers were made to this year’s group, with 47 accepting positions. Last week Allen & Overy posted a retention rate of 85% while Freshfields Bruckhaus Deringer retained 66% of its cohort. From a group of 25 trainees, Gowling WLG has retained 21 individuals, giving it retention rate of 84%. Twelve people have taken up newly qualified positions in the City and nine will join the firm’s Birmingham office. It’s an improvement on last autumn’s 78% trainee retention rate when the firm kept 18 of its 23 trainees. Macfarlanes has retained 100% of its 25 trainees, with 23 individuals agreeing to permanent positions while two people accepted fixed term contracts. This year’s figures are an improvement on last autumn’s 90% retention figure. The firm’s head of graduate recruitment Seán Lavin said the firm tries ‘very hard to ensure that we can offer a role to each trainee on qualification in order to keep that talent within the firm’, taking on ‘the highest quality … with a view to offering them long-term careers with the firm’. Ince & Co has mirrored its results from last year, posting a 90% retention rate from its group of 10. Two of its NQs will join take up places outside of the firm’s London headquarters with one joining its Monaco office and another in Dubai. Last autumn the firm retained 89% of its group of nine. Taylor Wessing posted a lower trainee retention rate, keeping 62%. It’s a tumble on last year’s figures when the firm retained 77% of its group of 22. Sixteen NQs will remain at the firm with patents; IT, telecoms and competition; disputes and investigations; private client; private equity; private capital and corporate finance; and real estate, planning and environment practices each gaining two new associates apiece, while the construction and engineering and tax and incentives practices will both be receiving one NQs. On a five-year track, revenues at the insurance and shipping firm have decreased by 3% from £91.6m in 2011/2012, however. Compared to last year’s revenues of £76.2m, the 2016/17 result represented a marked year of change. Part of this was physical growth, with the firm creating two new strategic offices. Marseille opened its doors in January 2016 to serve the firm’s growth in the shipping market, while in October that year, the firm launched in Cologne with the hire of two insurance partners. The firm also bulked up its Singapore venture, Ince Law Alliance. In October, Ince appointed Allen & Gledhill associate Felicia Tan as director, which the firm said is the equivalent of a partner in Singapore. This followed the exits of Singapore managing partner Richard Lovell and Incisive Law managing director Mohan Subbaraman to Reed Smith, and energy head Martin David to Baker McKenzie. Heuvels also highlighted 12 new partners Ince recruited over the last year in its core sectors, including three new partners in London, Beijing and Shanghai. However, Ince has also substantially developed its remuneration models: ‘The real benefit of some of the changes we have made to our equity model, where over a third of profits of the firm are in the performance pot now, is that it will no doubt lead to a stretching of our equity between the bottom and top end,’ he added. 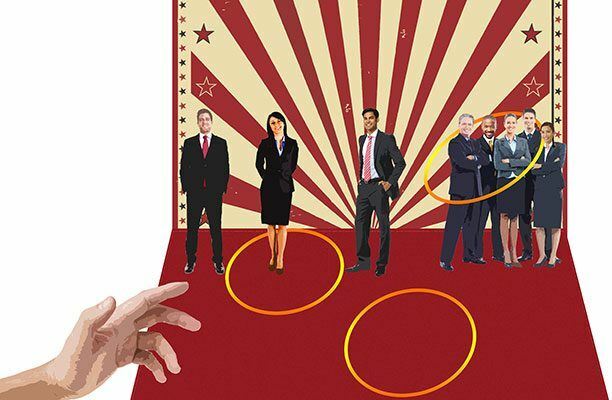 Earlier this month, Legal Business revealed that Ince is offering its lawyers the option to choose a different career path from the traditional partner track, as it also revamps its associate pay structure. Lawyers at Ince will now progress up a four-step career programme applicable to trainees, associates, senior associates and managing associates. Lawyers who reach the level of managing associate will also be given the option of taking up the new role of legal director, instead of moving up to partner. Read more: Ports in a storm – Can Ince get back on course? They will only move on to the next stage once they have demonstrated a set of competencies focusing on legal skill, client management, business development, working with and leading people, business and financial awareness, and ethos and culture, rather than moving up year on year. Lawyers who reach the level of managing associate will also be given the option of taking up the new role of legal director, instead of moving up to partner. The firm so far has one lawyer who will be the first to take up the role this year. Those that choose the legal director path are still given the flexibility to make partner later on in their careers, if they demonstrate the level’s competencies as set out by the firm. Ince will create pay ranges for each level which gives it flexibility to link reward, promotion and performance, moving away from the previous PQE model. These ranges will be reviewed annually for the next financial year. Although current bands are based on Ince’s previous post-qualification experience model, these will be reviewed at the end of the financial year. Performance bonuses worth between 10-25% of a lawyer’s salary will also be available for top performers. The firm’s City appraisal system has now been moved from paper-based reviews to an electronic-based system. This way, partners can provide feedback to associates with records reviewed at regular intervals throughout the year. All feedback will then be formally reviewed by an associate’s mentor at the end of the year to assess whether or not a lawyer should move up. The initiative was rolled out in London on 1 May. Ince expects the new structure will be adopted by the rest of its 13 offices at the start of the next financial year. The initiative is being implemented in conjunction with the firm’s learning and development function, headed up by Andrew Jameson, a former barrister and HR specialist for the Royal Navy. Ince senior partner, Jan Heuvels, told Legal Business: ‘The benefit is that it plays to people’s strengths. You will very quickly be able to identify that some people naturally are potentially at the next level but need to fill in some other skills. ‘You then focus on those and you are therefore able to drive quality in your firm and your associateship far more effectively than if you were treating everyone the same, hoping that time will make them all exactly the same,’ Heuvels said. ‘It’s also about getting people to take responsibility for their own careers,’ he added. DLA Piper and Ince & Co have made team hires in Germany this week, while Shearman & Sterling and Fox Williams have boosted their City offerings. DLA Piper has brought on three corporate partners to its Frankfurt office from US firm K&L Gates. Mathias Schulze Steinen, Andreas Fuechsel and Claudius Paul will take up their posts next week bringing client relationships with The Carlyle Group, Oakley Capital Private Equity, Mood Media and Verivox. Schulze Steinen advises local and international companies in corporate law, above all in restructuring measures, the law relating to stock corporations and corporate finance, and Fuechsel focusses on the fields of private equity/M&A, company law relating to capital markets, complex restructuring measures and the structuring of joint ventures. Paul specialises in private equity and M&A as well as in German corporate law, particularly in the technology, life sciences and financial services sectors. Meanwhile, Ince & Co has acquired Hamburg law firm Schwenke & Partner which will join its German office on 1 May. Senior partner of the Hamburg firm Thomas Schwenke brings with him one associate, two paralegals and three business services staff. He specialises in corporate and finance in the shipping, offshore and renewable energy sectors. Schwenke trained and worked for specialist corporate and finance law firms in London and Hamburg as trainee, associate and partner before establishing Schwenke & Partner in 2000. Shearman & Sterling has reappointed antitrust lawyer Christopher Bright in London, who was appointed by the government as a member of the UK Competition Commission in a part-time quasi-judicial decision-making role in 2006. Bright has stayed on at Shearman as a consultant following his appointment after he established the firm’s City antitrust practice. His appointment marks the first semblance of a lateral hire since the arrival of M&A partner Frank Miller from Freshfields Bruckhaus Deringer and Jeremy Sharpe in international arbitration from the US Department of State, both announced in September 2015. 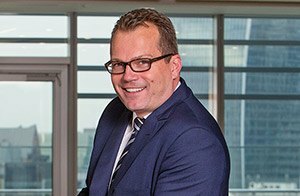 Finally, Fox Williams has taken on Cooley regulatory partner Chris Finney who will join the firm’s London office next week. Finney is focused on UK and European regulatory issues. His clients include national and international (re)insurers, payment services providers, private equity venture capital fund managers, brokers and fintech companies of all kinds. Finney joined Cooley in 2015 – the year the US firm opened its doors in London – from Edwards Wildman Palmer (EWP). The vast majority of the firm’s London office made the move to Cooley’s City office ahead of EWP’s merger with Locke Lorde. 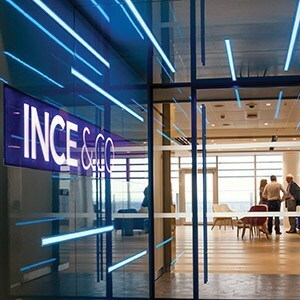 Ince & Co has opened its thirteenth office in Marseille while the firm’s senior partner predicts a 15% year-on-year increase in turnover for 2016/17. The firm had a disappointing 2015/16 financial year, with revenue down 4% from £79.4m to £76.2m. The results followed an 8% drop in turnover the year previous from £86.7m, which was the worst income drop of all the UK’s top 100 law firms in 2014/15. 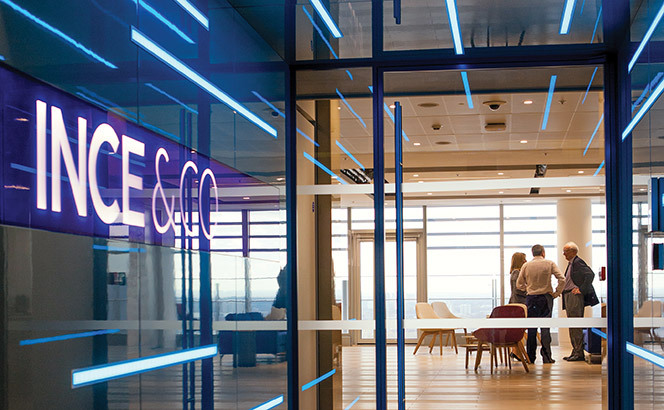 Ince’s new office in Marseille opens with the hire of two partners, shipping lawyers Fabien d’Haussy, who joins from his own law firm ECD advocates and solicitors, and Laurianne Ribes, who also established her own firm in 2015. D’Haussy regularly advises large French shipping companies on cargo claims and is also active in yachting matters while Ribes specialises in shipping and transport law, with a reputation for disputes. Over the past 18 months the firm has brought in 14 laterals across its network. The firm opened in Cologne in October last year with the hire of two partners, including CMS’ former insurance group head Stefan Segger and Eva-Maria Goergen. Ince’s Singapore venture, Ince Law Alliance, hired three more lawyers in November and appointed a new managing director to its Singapore team as it looked to rebuild its Asia offering. 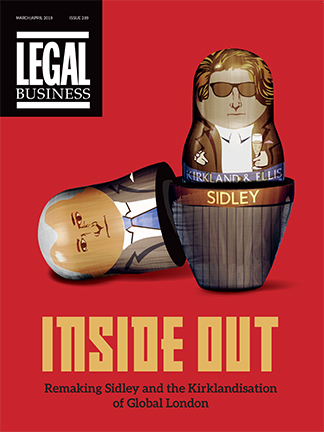 In October 2015 the practice was hit hard by the departure of Ince’s Singapore managing partner Richard Lovell and Incisive Law managing director Mohan Subbaraman, who both quit for Reed Smith. High-profile City arbitrator Juliet Blanch is set to leave Weil, Gotshal & Manges, while UK hires this week have come for Ince & Co and DAC Beachcroft, and Taylor Wessing strengthened its European tax offering with a double hire. A major exit this week came for US firm Weil as its London head of international dispute resolution Juliet Blanch left the firm to become an independent arbitrator. Blanch had spent six years at the firm, joining in 2010 from McDermott Will & Emery where she also was head of international disputes resolution. Prior to this, she was a partner at legacy Norton Rose until 2005, the firm she joined as a trainee. Also in the City, Ince has hired Rebecca Thornley-Gibson to its London office as head of employment. Before joining the national firm, Thornley-Gibson spent more than 26 years partner at ASB Law, where she was a partner and head of employment. She has advised on employment and travel issues and has a client base including low cost airlines, tour operators, cruise firms and travel technology companies. In Bristol, DAC Beachcroft recruited Joanne Owers into the firm’s Bristol office earlier this month from City practice Fox Williams. Owers joins from the 30 partner firm having previously worked at as partner at legacy Charles Russell and as an associate at Baker & McKenzie. And in Europe, Taylor Wessing is expanding its international tax practice with the hire of two partners, bringing in Michaela Petritz-Klar as CEE head of tax and international tax partner Michael Jaffe. Petritz-Klar joins the firm’s Vienna office from Schönherr, where she was head of tax. Jaffe joins the firm from PwC Société d’Avocats, where he was managing partner for France. 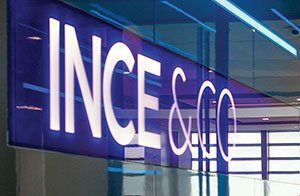 Ince & Co‘s Singapore venture, Ince Law Alliance, has hired three more lawyers and has appointed a new managing director to its Singapore team as it rebuilds its Asia offering. Ince & Co Singapore and its alliance partner Incisive Law have added five lawyers to the team in a move which it said bring the senior team to full strength. In October the practice was hit hard by the departure of Ince & Co’s Singapore managing partner Richard Lovell and Incisive Law managing director Mohan Subbaraman, who both quit for Reed Smith. The firm has appointed Allen & Gledhill associate Felicia Tan as director, which the firm said is the equivalent of a partner in Singapore. Acting on a broad range of legal issues and high-level cases, Tan has experience advising on commercial disputes, shareholders’ litigation, contentious commodities issues, infrastructure, property and construction disputes, judicial review related advice, general corporate litigation and employment related advisory and representation. Ince has also hired Hill Dickinson associate Moses Lin who joins an associate director. 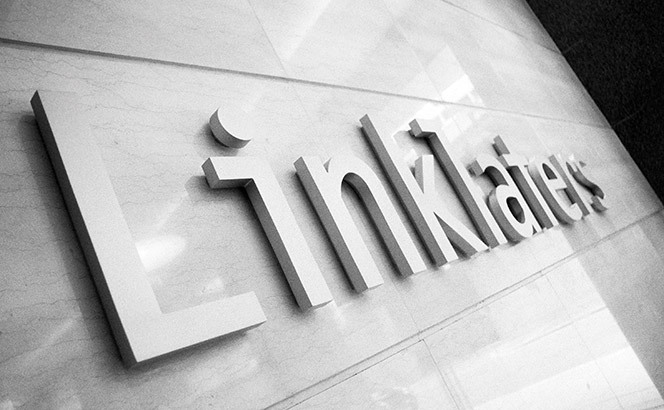 Lin is a disputes lawyer with a focus on marine, commodities and international trade. Tan and Lin will be joined by associate Justin Seet from who joins from Haridass Ho & Partners. The team will be led by the firm’s new joint managing director Edgar Chin who has been with Incisive Law since 2014. He will work alongside current managing director Bill Ricquier. Shipping and insurance specialist Ince & Co has had another disappointing year financially, with revenue down 4% from £79.4m to £76.2m. This follows on from an 8% drop in turnover last year from £86.7m, which was the worst income drop of all the UK’s top 100 law firms in 2014/15. UK fee income at the firm stands at £42.8m, down 10% from £47.5 last year. The firm’s international senior partner Jan Heuvels said that the firm had continued to transform and invest in the business. Heuvels (pictured) added: ‘Examples include the launch of the consultancy LLP, overhauling our remuneration system, moving to brand new offices in London, announcing our new office in Cologne, restructuring our partnership and the appointment of 19 new partners across our network. We exceeded what we expected to achieve financially last year and I am proud of this considering the current challenges in the markets in which we operate. In April the firm confirmed that it was moving away from its traditional lockstep model and introducing a bonus pool above the top of its equity to reward its highest billers. The changes, which launched on 1 May this year, are expected to encourage a more entrepreneurial culture in a partnership that has historically struggled to keep pace with the changing maritime and insurance legal sector. It is aimed at attracting talent from other firms as Ince & Co works towards building its transactional offering which covers corporate, finance and projects. Meanwhile, in differing fortunes, fellow LB100 firm Mills & Reeve announced a record turnover figure of £87.2m, an increase of 7% on last year’s figure of £81.6m. As a result of the strong financial performance the firm also announced the largest ever all staff bonus pool of £1.28m equivalent to 5.2% of the firm’s salary bill.